Clara and Annette, both single Catholics in their early twenties, worked adjacent to each other, employees of a commercial firm in Germany. Although they were never very close friends, they shared a courteous mutual regard which lead to an exchange of ideas and, eventually, of confidences. Clara professed herself openly religious, and felt it her duty to instruct and admonish Annette when the latter appeared excessively casual or superficial in religious matters. In due course, Annette married and left the firm. The year was 1937. Clara spent the autumn of that year on holiday at Lake Garda. About the middle of September she received a letter from her mother: ‘Annette . . . Instead. She was the victim of an auto accident was buried yesterday at Wald-Friedhof. The next day she attended Mass, received Holy Communion, and prayed fervently for her friend. The following night, at ten minutes after midnight, the vision took place . There are caverns and pits of torture where one form of agony differs from another. I would have died at the very sight of these tortures if the omnipoten ce of God had not supported me. 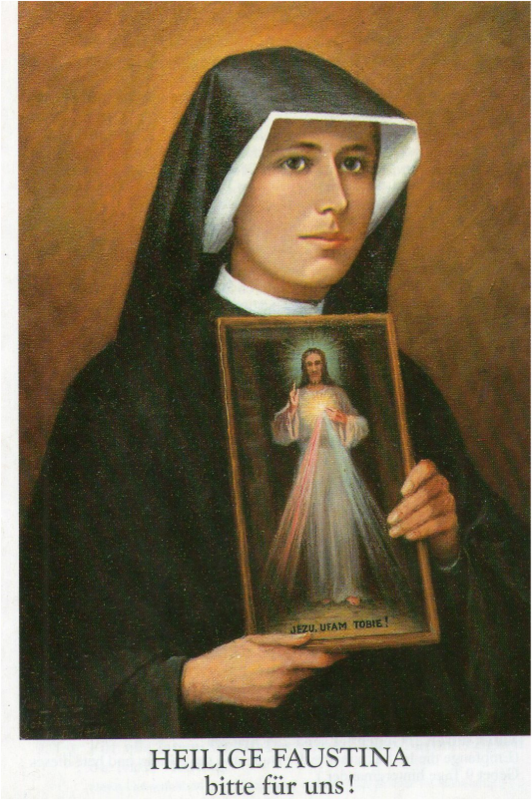 “I, Sister Faustina Kowalska, by the order of God, have visited the Abysses of Hell so that I might tell souls about it and testify to its existence…the devils were full of hatred for me, but they had to obey me at the command of God, What I have written is but a pale shadow of the things I saw. But I noticed one thing: That most of the souls there are those who disbelieved that there is a hell.” (Diary 741)Today, I was led by an angel to the Chasms of Hell. It is a place of great torture; how awesomely large and extensive it is! The Third is : That one's condition will never change. The Fourth is: The fire that will penetrate the soul without destroying it. A terrible suffering since it is a purely spiritual fire, lit by God's anger. The Fifth Torture is: Continual darkness and a terrible suffocating smell, and despite the darkness, the devils and the souls of the damned see each other and all the evil, both of others and their own. The Sixth Torture is: The constant company of Satan . Pray for infused sorrow for souls that will be lost if there is no one to pray for them. Have Masses said for the living as well as the dead. Fast and pray for lost souls. We do not want anyone to go to hell. Nihil Obstat/ Imprimatur: Definition of nihil obstat: the certification by an official censor of the Roman Catholic Church that a book has been examined and found to contain nothing opposed to faith and morals. Imprimatur: It does indicate that nothing offensive to faith or morals has been discovered in the work. “imprimatur” is the official permission to print the book. What Does “Nihil Obstat” and “Imprimatur” Found In Catholic Books Mean? Q – A “nihil obstat” and an “imprimatur” appear at the front of many Catholic books. What exactly do these mean? A – Thanks for the question. When a Catholic writer has a book on faith, morals, theology, etc. they submit it to the Bishop in their diocese or the Bishop of the diocese of the publisher of the book. The Bishop, or his appointed representative, then reads through the book and either gives or denies a “nihil obstat” to it. “nihil obstat” means nothing “stands in the way” of it being printed – that is, nothing contrary to the faith and morals of the Church is in the book. “imprimatur” is the official permission to print the book. Thus, it is the official permission of the Bishop to print the book and a statement that it contains nothing outside the teachings of the Church. It is not an endorsement of the book or a statement that it is valuable to read. Nor do all books on Catholic teaching have these in them. It is up to the author and/or publisher to seek out such approval. The Code of Canon Law discusses this issue in Canons 822-832.